The website Mental Floss published list and request for "the happiest words in the English language" here. You can read the University of Vermont ratings, and also individual contributions: sparkle, mingle, kittens. For me it is spring, from the first tentative moment when the wind shifts and you can smell earth. And I respond eagerly to spring jacket. Even if I don't need one, I'll pause at any window that shows them, as well as florist's forsythia or open-to-sun sandals. These are not necessarily raincoats, but they have to handle showers (here, snowshowers), mud, car sprays, ecstatic dogs. Coated-vinyl macs are like wearing a plastic bag: they neither breathe nor drape well. But wool, while warm, isn't good when damp. Lot78 hooded cotton-blend twill (price, $1,015) is at netaporter (probably for four seconds). It's cool, no? The colour is neutral but not washed out, there's a soft jersey knit lining and while it's spring-weight, you wouldn't look silly in it in the fall, so I'd spend on this because of that versatility. The trench returns like tulips. 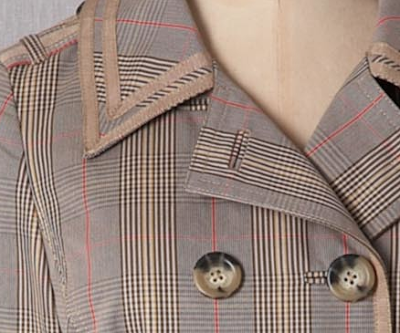 Boden's spring trench has several piquant details: a tart Prince of Wales check (among other choices) and a grosgrain-trimmed collar. The price (£129) is good and it's made in regular (to 22) and petite. It's double-breasted (but close-set and shaped) and has a flowered lining. Here in the northeast, we long get out of dark-by-default even while we know pales are a problem. 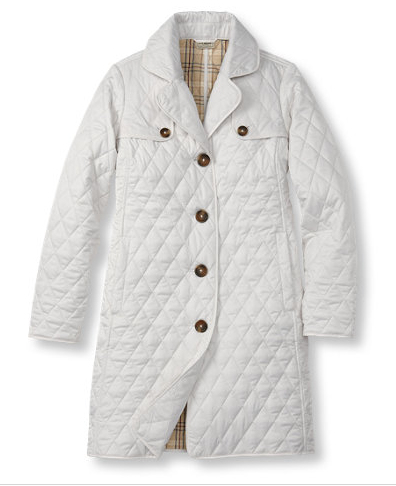 But you can machine wash and dry LL Bean's quilted riding coat (also available as a jacket); price $129; regular and petite sizes. Offered in black (enough!) and a navy that calls to my strict side, as well as rose and moss–but if you want to fly forth in pale, here you go! Another route is to go exuberantly spring, but in a supple leather. 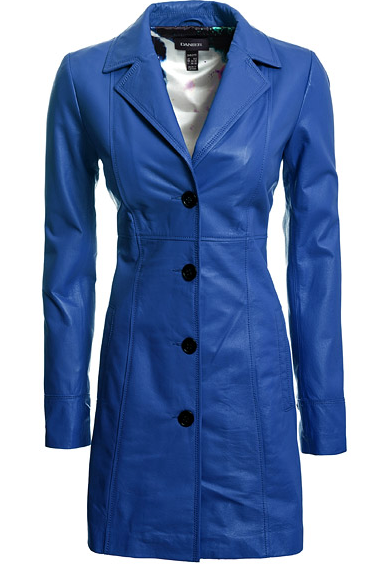 This Danier cobalt blue coat (price, $429) cheats chill via windproofing in a gorgeous, rich hue. Leather is terrific for travel; if you spray it as recommended, it will come out of a shower with a wipe-and-hang, unlike wool, clammy for days–and you can wad it up in an airline bin. In spring with a colourful silk or cotton scarf, in fall with a deeper-hued cashmere one, this is another good season-spanner. though much of Danier is mall-y, but there are always a few uncluttered, even exceptional, pieces at very good prices. Also comes in a piquant poppy red. Let's keep the binge out of harbinger! but, like the first bunch of tulips on your table, a spring topper gives a shot of pleasure after months burrowed into, essentially, a fabric house. Because of the short season, I don't replace a spring coat that often, but when I see the right one, I also know it won't be there for long, and grab it. Those of us in the Northeast embrace spring with its promise of warmer days, budding trees and escape from the greys of winter. I greet spring in a daffodil yellow anorak (with hood for those frequent April showers). But I would love the blue leather jacket! I, literally, feel the urge to lighten up in the spring. 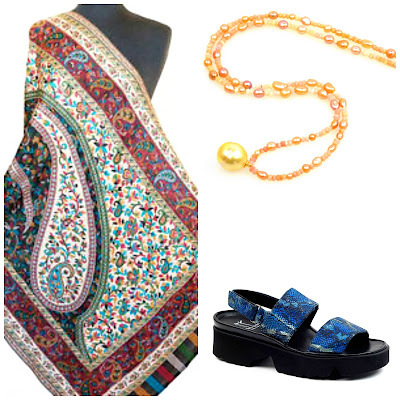 My mood lightens, my energy soars and I add so many more splashes of color to my everyday wear. You can tell I am longing for April, can't you? Yes, a thousand times yes to the spring coat! Duchesse, you are inspiring me to get out a pale yellow Rodarte coat purchased on a rainy Paris trip in April 12 years ago! 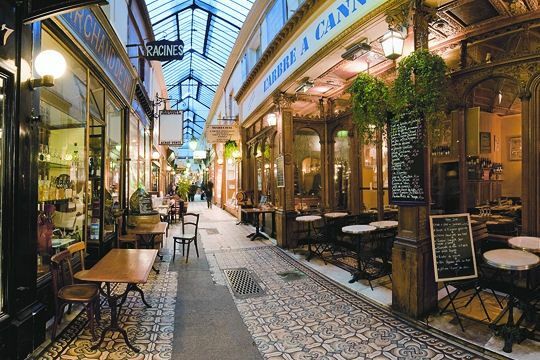 It has sweet memories because my darling aunt sent me a special check to get something fun in Paris! I remember I was unsure whether to get the pale yellow or the navy and the sales clerk kept telling me the yellow was "tres douce." Now I can't wait to get it out! Oh, I looked at the label,it is Rodier, not Rodarte! I feel so attached to it, isn't that funny. I agree with you about leather coats being perfect for travel. My black mid-thigh length coat has been my go-to for trips. But I'm trying to slowly ease away from the black, and will be looking to replace it with something in taupe perhaps. I've been looking at travel raincoats again for our trip to Scotland and England in May. 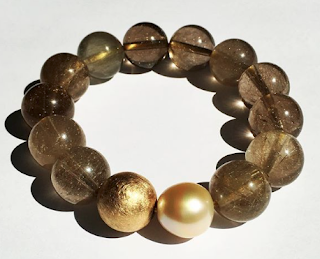 I saw this one on sale at Nordstrom's and bit (in the lighter color listed as "gold"). Will let you know how it is. I am so jealous of the need for a spring coat! We are doing well to wear our regular coats here in Texas. I do have an short orange (one of the best colors for me, I always get compliments when I wear it) trench that I usually wear in the autumn, but the color would go well for spring as well. Maybe I need to rethink how I wear it. I really like the Boden trench although double breasted is not always flattering to the petite and curvy. I have a spring coat in that "tender shoot" colour that is being featured in The Vivienne Files but it may be too bright for spring in Paris. I'm not sure but I don't want to take chocolate brown for March, April May. Ontario!But it must be spring somewhere? On a practical note, Duchesse- do you order from Boden and how do you find the red tape of customs etc? In California all we need is spring coats, really:). Those are some good ones! Kristien; A beautiful colour, daffodil- and rare in n anorak. Francis: Wondered about that- did not sound like a Rodarte garment, and yes, charming! Pseu: That's a good-looking coat but- does it breathe? When walking a lot, an non-breathing coat feels exactly like wearing a plastic bag. Susan: I used to send my Texan sister my spring coats, once I tired of them. (You don't really wear out a spring coat here.) They would winter coats for her. Mme: By mid-to-late April, the leaf would look beautifully springlike but in March, when it can be chill, not so much. 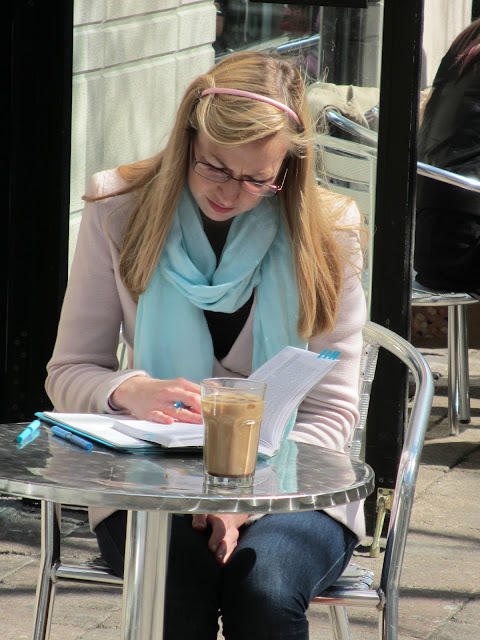 (Never been sol cld in my life as in Paris in mid-March, in sleet, having packed a thin 'spring jacket'.) It's hard to pack for a season-spanning trip. Anon: I ordered from Boden twice but not for years. Found the quality surprisingly low; the clothes looked so much better in the catalog. I'd say they are on a par with Zara: cute but not well made. The postage costs are high as they ship from the UK; I contacted them and they refuse to ship to Canada from their US site. $25 to ship $50 shirt was unacceptable to me. Dealing with customs is the same for Boden as it is for all vendors who do not have a prepaid taxes/duty on their site (e.g. LL Bean, Lands' End). The package comes and you pay, either at the door or at your postal station. LPC: In spring coats, you are wearing *clothes*. In the winter coats we need here, you are basically building a little house around yourself. Love your imagery of the little house, it puts a new spin on bundling up for winter. Long live the puffy coat! Hmmmm, I'm doing a mental inventory -- rather than rush out to the shops (so tempting! ), I suppose I could pair a spring-coloured scarf with my black-and-white polka-dot Betsey Johnson poplin raincoat. And I have a metallic-pewter Burberry Trench that could also say spring if I play it just right. Ditto for a navy heavy cotton twill swing-y jacket with an aqua or pink or springshoots-green scarf or a coral or yellow or tangerine bag. . . Thanks for the inspiration. Now the test is to capture the spirit of your post without adding to my closet . . .
Duchesse--Perhaps a little out of place...but thank you for your inquiry. I am fine, just exhausted. I'm still reading! 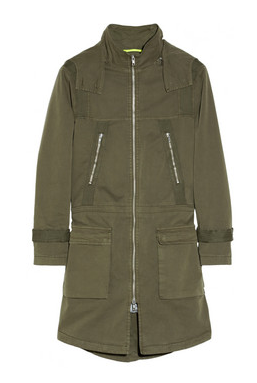 $1015.00 for a coat...in fatigue green? um...I'll have to get back to you on that one. Until then, it'll have to be my Eddie Bauer black with a fantastic scarf in a flattering color. Tempted by the white one, but I live in NYC, and a white coat would be downright silly. RebeccaNYC: The *colour* of the Lot78 coat is not responsible for its price; it will be warranted (or not) in the cut and detail: the quality of the zippers, the plush lining, the set of the armhole and pocket. I wouldn't drop a grand without thinking, either. You can get an olive anorak in an army surplus store, or choose a good black Eddie Bauer. Lot78 is another level, a different vibe. As for as a white coat in NYC, we too have slush and pollution, but dang, they do look good, and people wear them. A washable version is not a ridiculous frivolity. mater: Good move to spring up a lighter-weight coat with a spring-y scarf; maybe you will show us. Frugal: Good- you haven't posted in awhile so I wondered. Duchesse, thanks to you, I bit on my spring jacket today, a bright pink Patagonia nano puff. Thank you for your post. I am liberated from my clunky, heavy, navy peacoat! Spring! It was warm enough to sit outside at lunch today and feel a bit of gentle sun on my face. I just bought a heavily discounted winter coat as my 'spring' coat. It's chocolate brown, a short cloak shape with arm holes, buttons and a waist tie. Unlike most coats available at a reasonable price in the UK, it's mostly wool. Eleanorjane: I love it when I find something on sale I don't have to stow till the season comes round; good call! I love these spring coats! I just bought a really great one from Burlington Coat Factory. They had great deals there, so it was about $50 less than I had seen it for anywhere else. I can't wait till the weather gets warmer so I can start wearing it. I've really had it with the snow and the cold weather.